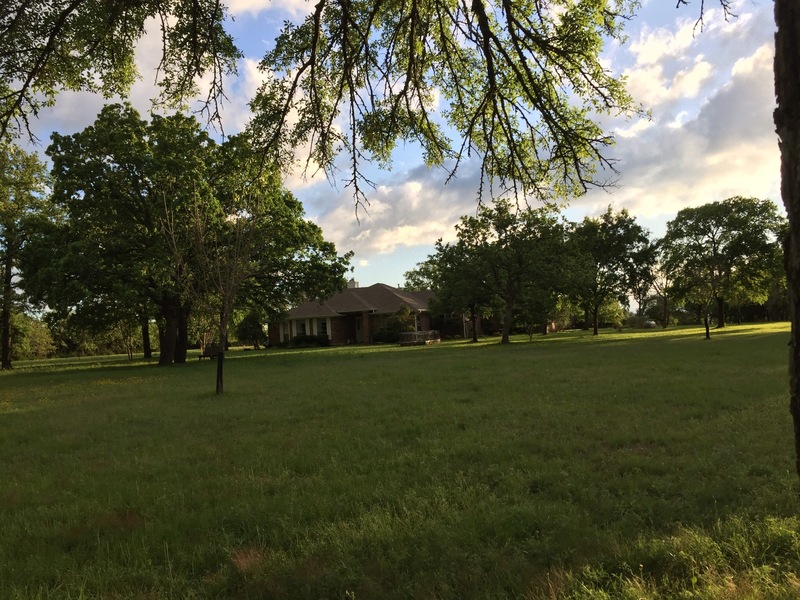 Yep, four months ago, we moved into what I affectionately call #countryhouse, a 20-year-old ranch home on 5 beautiful acres in central Texas. For most of the time since moving to Texas in August of 2014, we lived in a new house in a new subdivision. The house was OK, the lot was teeny-tiny. Picture standing between your house and your neighbor’s and being able to touch both houses with your arms stretched out. Well, maybe not that close, but you get the idea. I hated the closeness. Enough about the old house. I’m in love with #countryhouse. It’s on a dead-end street and all of the properties are like ours, about 5 acres. Our plot is rectangular in shape with a long, dirt driveway that leads to the house near the back of the property. An assortment of trees sprinkle the entire property. I’m still learning about Texas trees, but in addition to oak, elm and holly, I think we have crape myrtles, ash, yaupon and some type of pine. 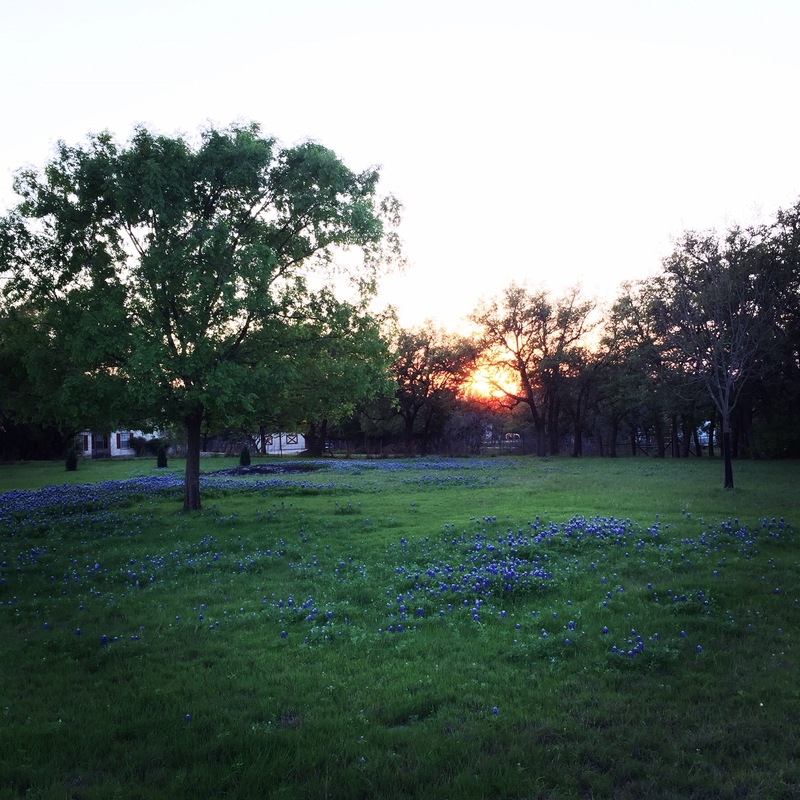 The back yard (top photo) is full of bluebonnets as I write this. 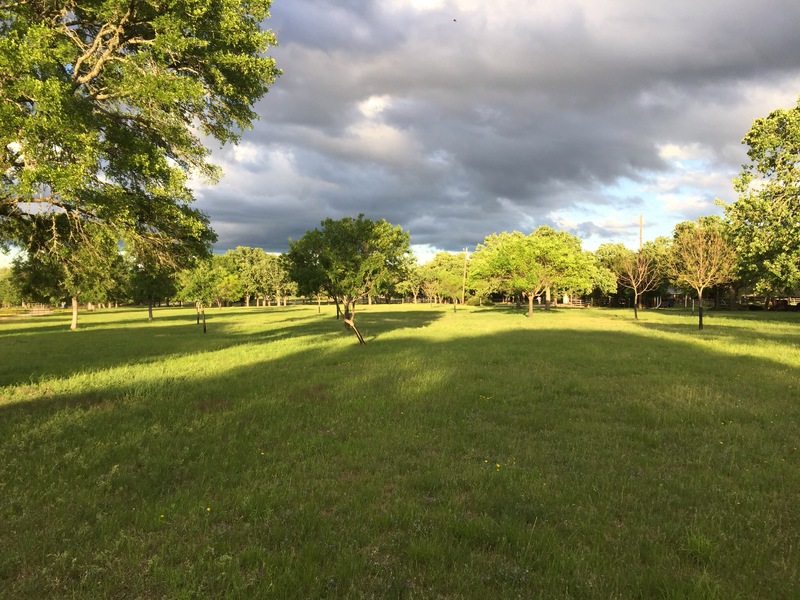 No bluebonnets in the front yard (below photos), but many other Texas wildflowers that I’m still learning the names of, abound. The neighborhood has at least one family of deer, which we see frequently and add a certain peacefulness and tranquility to our new life. Did I tell you yet how much I love #countryhouse? Because father-in-law (fil) is building a guesthouse at the back of the property, I’m holding off on a formal garden this year. But I’ve still got a few things going. Tomatoes and a few marigolds have been planted over the septic tank (more on that in a future blog post). The patio between the house and unattached garage also is sprinkled with a few more container tomatoes, as well as pots of flowers. The previous owners did a pretty nice job planting shrubs, trees and flowers around the house, patio and garage, but I’m eager to add a bit of my own style to the landscaping. Plus, there’s lots of nandina and holly that was beautiful during the holidays (natural Christmas decorations! ), but I’m also learning that the nandina is considered an invasive. I can see why. There are little shoots popping up everywhere and they’re time-consuming to control. I’ve already removed a few of the plants and I think many of the others may meet the same fate. I’ve also been daydreaming about what I can do with the inside of the house. I’ve removed 20-year-old wallpaper from one room and have a few more to go. There are so many projects bouncing around inside my head! Many of them will have to wait though, since fil is living with us until his guesthouse is built. Having two household’s worth of furniture and belongings in one isn’t really conducive to a lot of changes. I just keep telling myself we’ve got plenty of time for that. The important thing is that country girl has found a place to call home. Life is good! This entry was posted in Country life, DIY projects, Living and tagged #countryhouse, flowers, trees on April 4, 2017 by Julie Riebe. Wow! Lovely, amazing property. Congrats!! Does this mean that Garden Booyah will be cranking back up some time? Can’t wait to see where you put that clothesline garden! Thanks Shannon. I’ve missed country life so much. Looking forward to many, many years here.